3M Healthcare Tegaderm Clear Absorbent Acrylic Dressing 7-9/10" x 8", 5-9/10" x 6" Pad Size, Large, Square -Box of 5 Each. Product is manufacturered and licensed by 3M Healthcare . Product is categorized as a absorbers . HCPCS: A6204 . 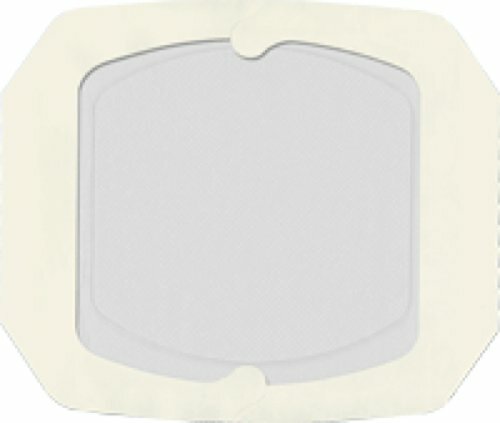 3M Healthcare Tegaderm Clear Absorbent Acrylic Dressing 7-9/10" x 8", 5-9/10" x 6" Pad Size, Large, Square. 3M Tegaderm Clear Absorbent Acrylic Dressing has advanced technology where wound exudate moves through perforations in bottom layer of Tegaderm. Through the process of diffusion wound exudate is absorbed into clear, acrylic polymer pad. Moisture vapor is released through top, breathable, Water-proof layer of Tegaderm film, which also provides a barrier to outside contaminants. 3M Tegaderm Clear Absorbent Acrylic Dressing is washable. Promotes autolytic debridement while allowing visualization. Bottom layer is coated with a moist skin adhesive. Easy to center on the wound and apply. Low potential for skin maceration. Hypoallergenic and Latex-free. Gentle removal from the skin. Thin profile, conformable. Low friction surface. If you have any questions about this product by 3M Healthcare Corp, contact us by completing and submitting the form below. If you are looking for a specif part number, please include it with your message.